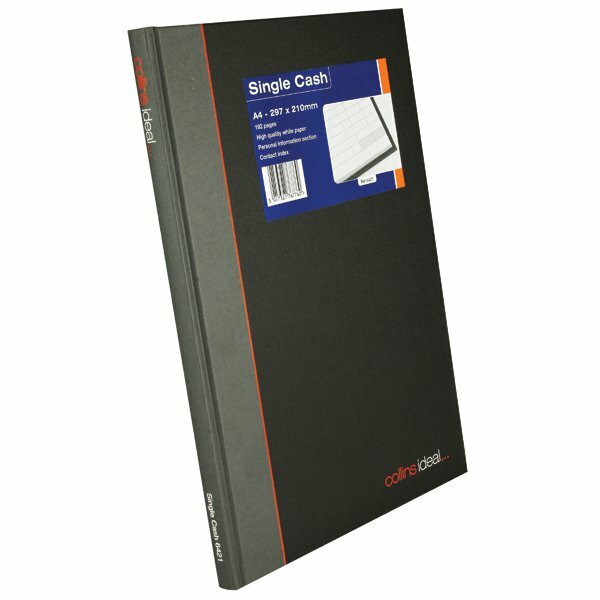 This A4 Black Single Cash Book from Collins Ideal is a high-quality case bound notebook ideal for accounting or general use. 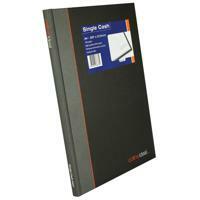 The 192 pages are high quality 80gsm paper with single cash rulings, while the casebound binding secures pages into the spine, reducing the danger of losing precious and important notes. The book is fully cased in durable geltex which not only protects the book itself but also provides a hard cover, ideal for note-taking while on the go.